You see them singing around the house and they are always putting on plays in the lounge, but what’s the next step? When it comes to music and drama, how do you walk the line between performing for the fun of it and developing a real skill? At ExitLeft, we give children and teens outstanding performing arts training in a way that is so much fun they don’t even realise how much they are learning. We develop core skills, how to sing, act and play. Students start with the basics of good technique and an understanding of style, mix in creativity, teamwork, great communication skills and amazing performances.The end result is young stars who stand out from the crowd! Students from Grade 3 to Grade 12 have the opportunity to be a part of our performance programs that focus on their particular passions. They can be a part of a fabulous musical, join the Hobart Children’s Choir or, for senior students, further their acting skills by putting on a play. We don’t audition kids to participate in our core singing and acting classes. We know that if a student has the passion, we can grow their skills. 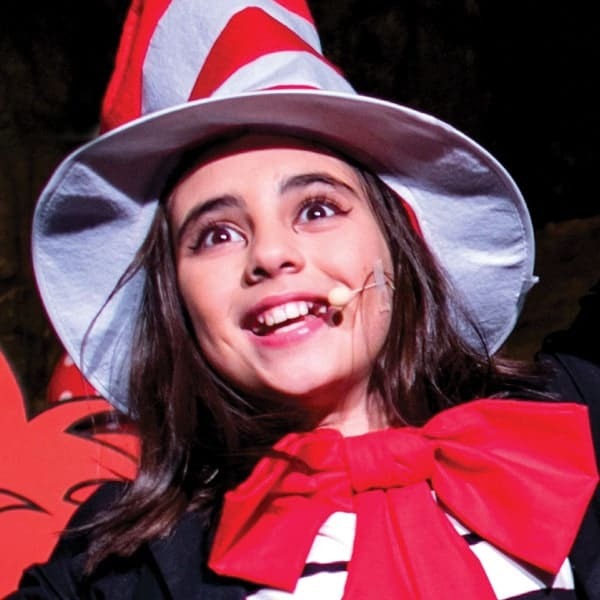 As young adults ExitLeft students are consistently being chosen as the leads in musicals and plays and, for those who want to make careers, receiving offers in to the prestigious national performing arts courses. Occasionally students will audition internally to help us choose who takes which role in a production, but, there is no audition to be involved with these programs. Our philosophy is simple, if a child loves singing, they need to learn to tell stories, and acting training is the best way to do this; if a child loves acting, they must to be able to use their voice which is best developed through singing. But really, kids who want to perform love to act and sing! ExitLeft offers a full service, with our staff going above and beyond to support and encourage our students to shine. Supplying sheet music and practice recordings and arranging extra rehearsals and accompaniment for auditions, exams and performances as needed. Plus as a bonus students who study the core performance program have the chance to be a part of the ExitLeft musicals, plays, concerts and events that take place throughout the year.